Welcome to my personal website. 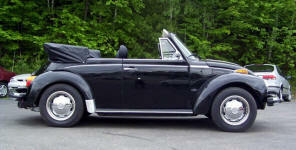 I'm a VW Enthusiast who has long enjoyed collecting and restoring classic VW's. I collect and appreciate low mileage original cars, and have always just liked VW's for what they are. Feel free to browse around and check out the cars I currently own, and many of the vehicles I've owned in the past. Many years ago, I wanted a place to share with other VW Enthusiasts the cars I've owned in the past, and the vehicle(s) I was working on. As years went by, I kept buying more VW's, and rarely sold the ones I already owned. I now have a collection of VW's starting as far back as 1951 right up to some of the current models. 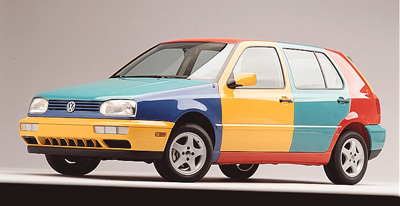 Back in 1996, I remember the local VW dealer having a Multi-Colored Golf on display in their front line. 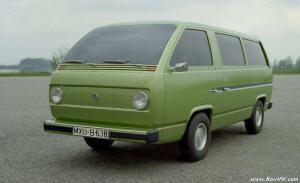 I decided to research the car, and went to the VW website (the very first one published by VW) and read all about this limited production model. I found one in 1997 and have owned it ever since. I started the Harlequin Registry in 2002 to try and bring the owners of these interesting and limited cars together in trying to pin-point exactly how many were produced. Check out the Harlequin Registry Page for more info! Wild Westerner and Epliog Registries! I finally found time to start the registries for the 1973 VW Type2 "Wild Westerner" and the 1979 VW Super Beetle Convertible "Epliog" triple-black models. Check them out, and send your info to me if you have one! 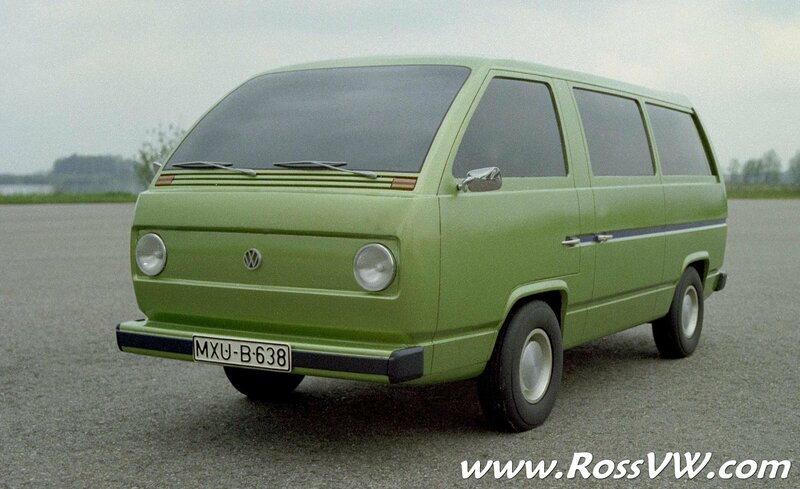 Check out this image of the Prototype T2 (Vanagon) This picture was gathered from the VW Auto museum during the 30th Anniversary Celebration of the T2 at the museum in Wolfsburg. Click the image for a much larger version.